The city is Düsseldorf, it is the home for the forthcoming Liebherr 2017 World Championships, proceedings commence in the Messeplatz on Monday 29th May. It is also the home for a lady who possesses a record in World Championships Women’s Doubles events that no player can match and no player may ever match. Diane Schöler, the Honorary President of the Swaythling Club International, is the lady in question. The former Diane Rowe; on Wednesday 14th April 1954, partnering her 20 minutes younger twin sister Rosalind, at the World Championships in London, events conspired to produce one of those legendary golden moments of sport. Playing very much on home soil in the Wembley Arena, the sisters being born in Marylebone, a car journey of less than half an hour distant; in the only all-English Women’s Doubles final ever at a World Championships, they beat Kathy Best and Ann Haydon to clinch the title (19-21, 21-10, 21-19, 22-20). Furthermore, the day was their coming of age; it was their 21st birthdays! Now what are the chances of this idyllic doubles pair, Diane the left hander and Rosalind the right hander, becoming World champions on the most significant birthday of all, at a venue which is within walking distance of where you were born, against colleagues and in opposition to a future Wimbledon champion? Ann Haydon, later Ann Jones, won the Women’s Singles title at the famous tennis tournament in 1969. Maybe finding Elvis Presley live and well and signing Blue Suede Shoes in Gracelands? Make absolutely no mistake; Diane and Rosalind Rowe were superstars; they were always described as the “famous Rowe twins”. In 1954 they stood alongside the very best. 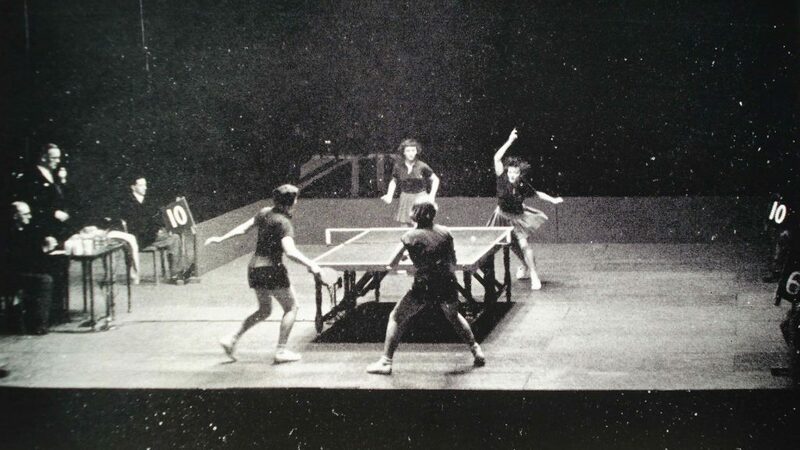 They were prominently featured in the Eagle Annual, a popular Christmas present, a book that dedicated at least one page to each sport; table tennis had two pages with the Rowe twins featured. They excelled in a year of remarkable sport. Roger Bannister ran the first ever sub four minute mile, Chris Chataway trailed Vladimir Kutz for all but the very last metre of the 5,000 metres in the White City Stadium to set a World record in what was a new phenomenon; televised floodlit athletics. Stanley Matthews mesmerised with his football skills, Denis Compton, who played both cricket and football for England, appeared on advertising boards everywhere, his hair lathered with Brylcreem. Also it was an era of hope; my grandparents had lived through two World Wars, some three months after the success in the Wembley Arena, rationing in the United Kingdom ended. The delight on my grandmother’s face when she knew she could buy as much sugar and flour as she wanted, was moment to remember; she could bake as many cakes, as the family demanded, on the black leaded fireplace. Diane and Rosalind Rowe reflected this new era of prosperity and they set an example of which Victor Barna, very much their mentor, was proud. “They are popular because they have great talent, fighting spirit, personality and charm. They dress neatly and their behaviour on the table is exemplary. They never gasp or yell if they miss a shot and never play to the gallery”, Victor Barna (1952). 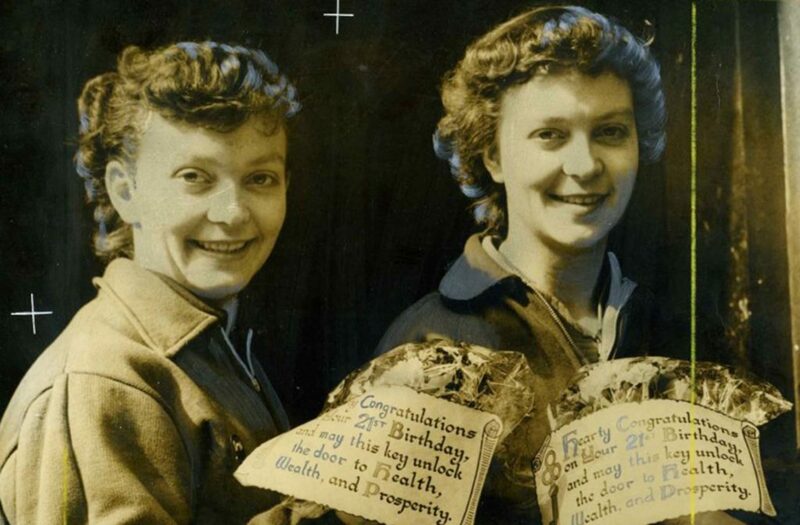 Success in 1954, it was for the twins the second time they had won the title; in what overall was to prove their fourth of five consecutive World Championships Women’s Doubles finals. They won in Vienna in 1951, whilst being the runners up in Mumbai in 1952 (then known as Bombay), the following year in Bucharest and in 1955 in Utrecht. A quite incredible record, for Diane the record is even more stunning. In 1955 Rosalind retired from table tennis, married John Cornett; later she became a single figure handicap golfer. Diane continued with her table tennis career. Partnering Ann Haydon, she was the Women’s Doubles runner up at the 1957 World Championships in Stockholm; semi-finalist in Tokyo in 1956 and in Dortmund in 1959. In every World Championships from Vienna in 1951 to Dortmund in 1959, Diane secured a podium finish; there was no World Championships in 1958, it had been agreed at the 1956 Congress in Tokyo that as and from 1957 the tournament would be held biennially. Eight consecutive medals and there is one more; in 1963 in Prague, she was the runner up in partnership with Mary Shannon. 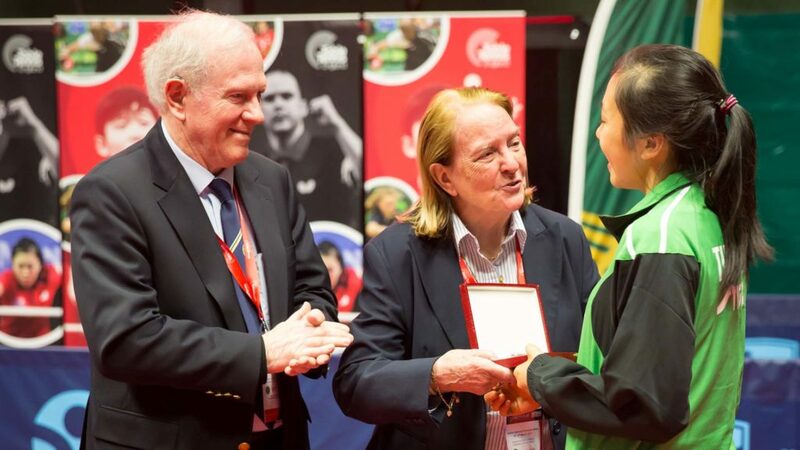 Only once in a 13 year period did Diane not win a Women’s Doubles medal at a World Championships; in 1961 in Beijing, partnering Jean Harrower, the duo experienced a second round defeat at the hands of China’s Ma Kuang-Hung and Ti Chiang-Hua. Nine Women’s Doubles World Championships medals, it is a feat no player has ever surpassed and only one equalled; between 1928 in Stockholm and 1938 in Prague, Maria Mednyanszky won seven times whilst being twice a bronze medallist. Sadly on Monday 15th June 2015, Rosalind passed away; Diane is the oldest living World champion.